Your Minneapolis and St. Paul Buick and GMC Dealer Alternative in Forest Lake. Serving Minneapolis and St. Paul Buick and GMC customers, Whitaker is proud to be the only dealership in the State of Minnesota to have earned the Better Business Bureau’s coveted Integrity Award. We are easily able to serve our Minneapolis and St. Paul Buick and GMC customers anything they may need from parts and service to used cars and trucks and more. Get peace of mind while you drive. Since 1989, Lakes Transmission Service has been providing sterling automotive repair services, specializing in transmission parts and repair. 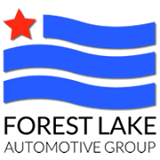 Forest Lake Chevrolet Cadillac is the premier North Metro Twin Cities Chevrolet and Cadillac Dealership. We have a huge inventory of new Chevrolet cars, trucks, SUVs, and vans. Plus, every new Chevrolet and Cadillac we sell includes an exclusive Lifetime Powertrain Warranty! We also offer the complete line of luxury Cadillac vehicles including Cadillac cars and SUVs. No one can beat our prices and warranty offers. Plus, we are just minutes from North Branch, White Bear Lake, and Roseville. We are the premier new car dealership in the North Twin Cities area. We carry the full line of new Chrysler, new Dodge, new Jeep, and new Ram vehicles. Everything is priced way below MSRP. Plus, every new vehicle includes an exclusive Lifetime Powertrain Warranty. Formerly Wilcox Chrysler Dodge Jeep & Ram.